Brought over from the US especially to perform at BopFest, tenor saxophonist Grant Stewart has established himself as one of the leading figures on the world's straight ahead jazz scene, regularly touring around Europe and Japan as a soloist, and heavily featured as both leader and sideman on Dutch record label Criss Cross' catalogue of modern classic jazz recordings. Hailing from Toronto, Canada and having moved to New York as a teenager to make his name on the jazz scene there, he studied with masters such as Donald Byrd and Barry Harris. He is known for being strongly influenced by Dexter Gordon and Sonny Rollins in particular. In his career to date, he has performed internationally with the likes of Jimmy Cobb, Louis Hayes, Clark Terry, Bill Charlap, Brad Mehldau, Russell Malone, Larry Goldings, Peter Bernstein, Herb Geller and was a member of the last Al Grey Sextet. Starting in 2008, Stewart has consistently been voted a “rising star on the tenor” in the Downbeat Critic’s Poll and was the subject of a feature in JazzTimes magazine. 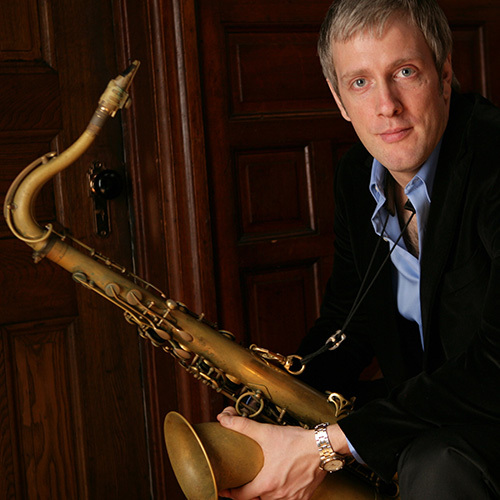 Downbeat magazine has also featured Grant in a piece written by noted jazz writer Ted Panken. On the international front Stewart was named one of the top 3 tenor saxophonists by the noted jazz magazine Swing Journal. “Stewart’s clarion sound and command recall Sonny Rollins, but his chops put him on a special level. He is not an imitator, but an artist who further illuminates and even expands the domain of expression first opened by Rollins.” – Thomas Conrad, Stereophile "Powerful in a form that combines tension and relaxation like that of Sonny Rollins and Dexter Gordon, Grant is one of the most powerful stylists... on the scene." Jazz Hot Magazine. *Support tonight comes from Japanese bebop pianist Eriko Ishihara in a duo with saxophonist Allison Neale, who will be performing in the club's restaurant during dinner before the main act, with food available from 6pm until 7.50pm.